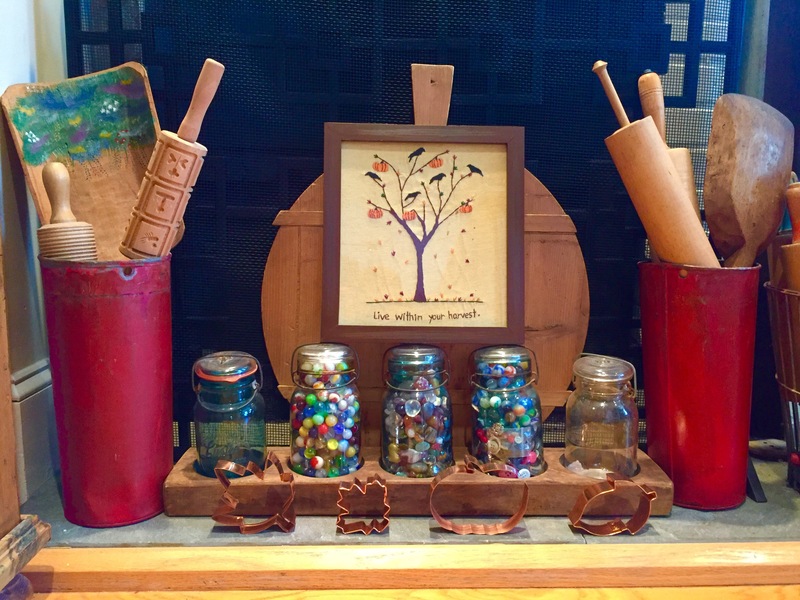 I enjoy a good pumpkin display, I have to admit, and if you have followed me for any length of time you know I usually take a “more is better” approach to decorating. I like to refer to it as “cluttery chic”. 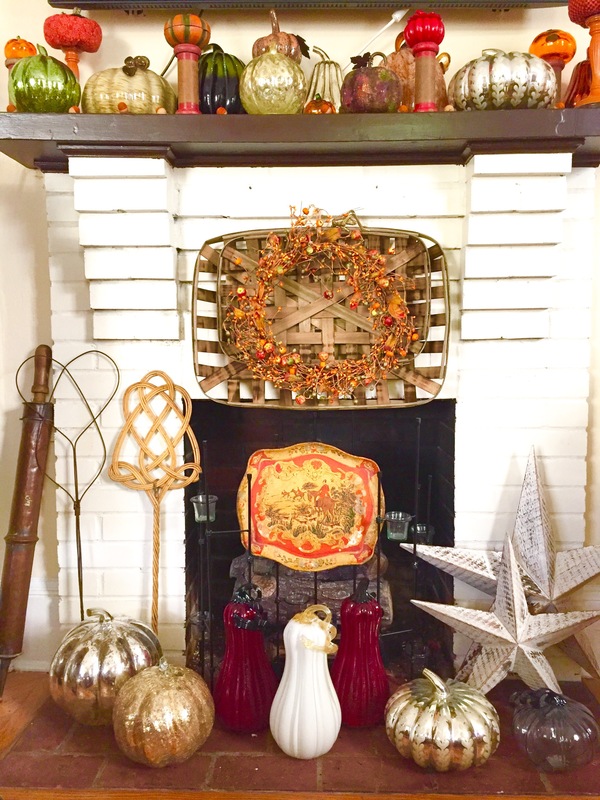 This year I have been inspired to take a more scaled back look for the season and to find “beauty in the simple”. Enjoy my attempts! 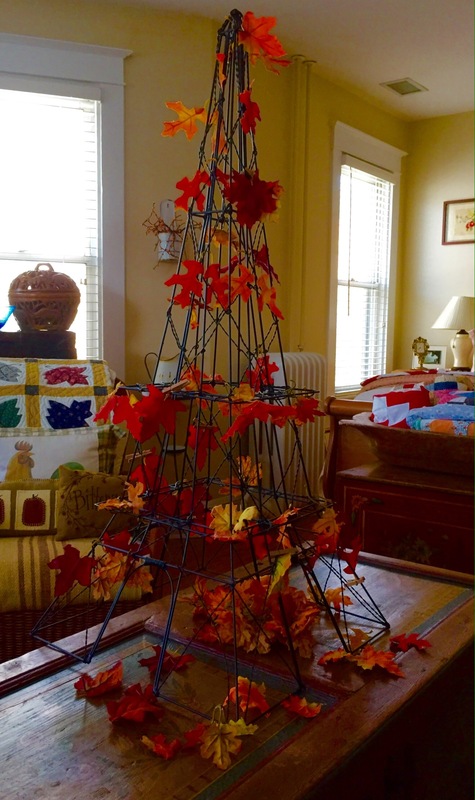 Simple leaves on the Eiffel Tower brings to mind Fall in Europe …happy memories. 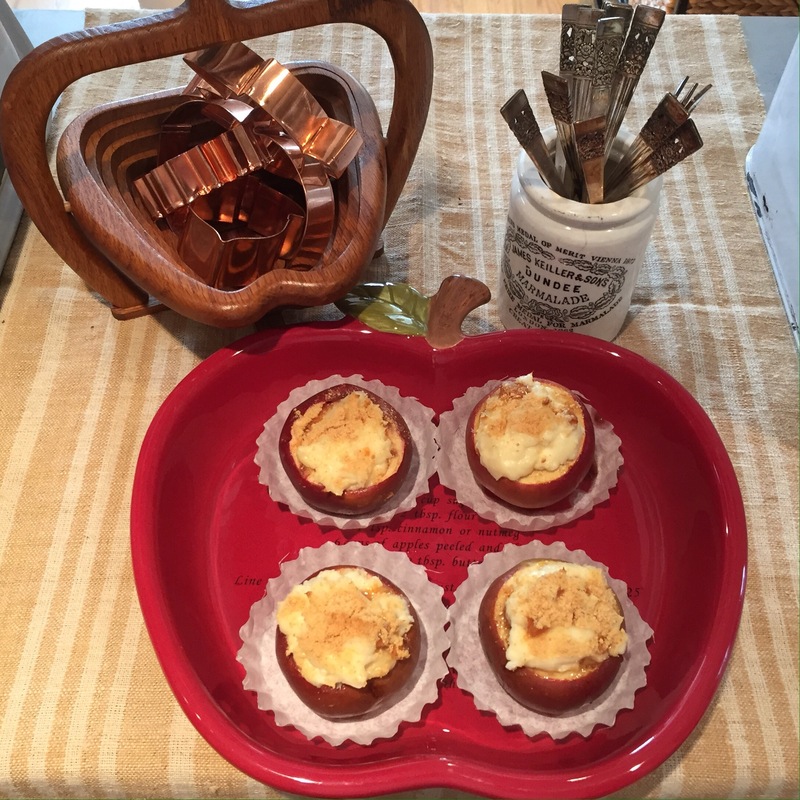 What is more quintessential Fall than bittersweet in antique enamelware? 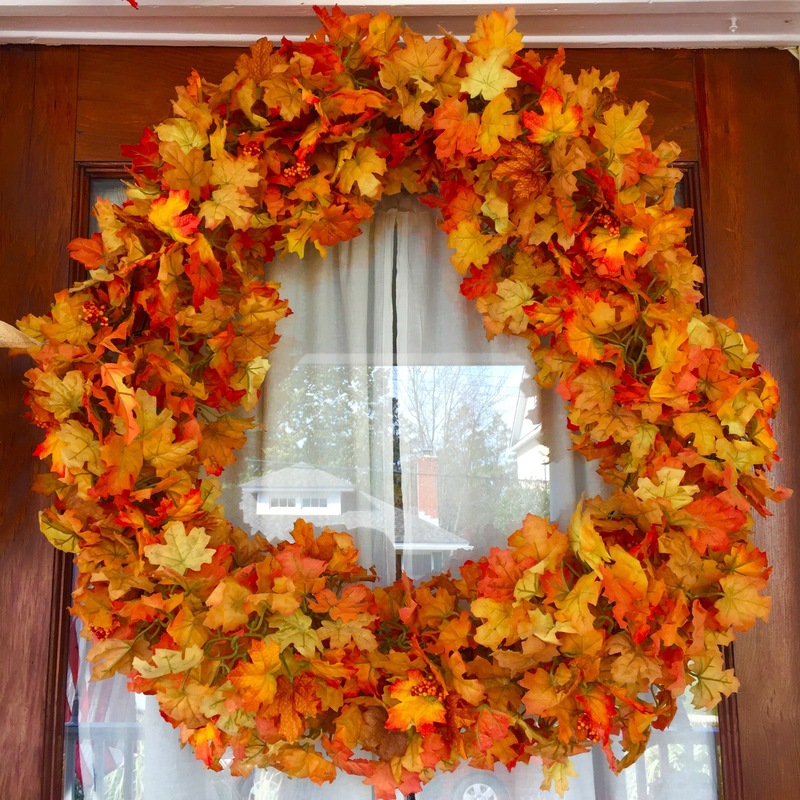 Several old garlands of leaves and a wire frame is all it took to make this simple but dramatic wreath. The perfect sentiment to embrace this time of year as we grow closer to the holidays. 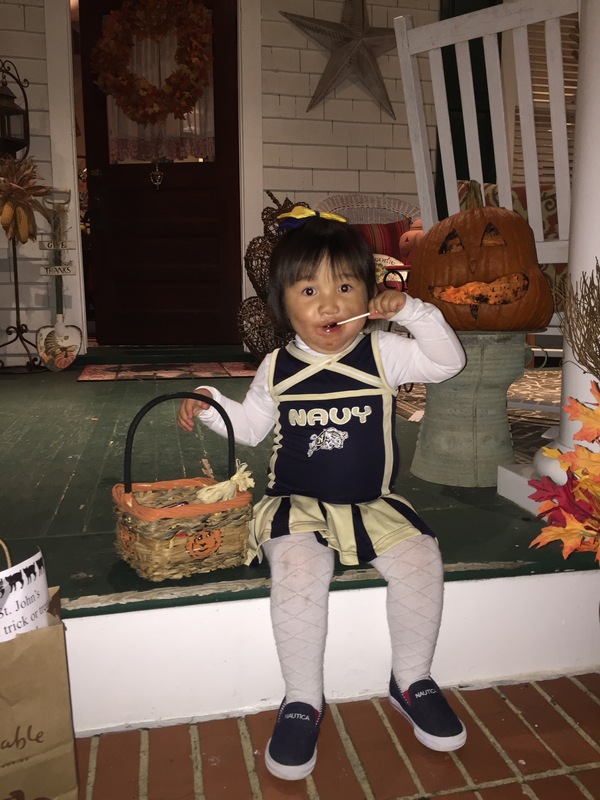 Our sweet Princess has simple needs…a good costume and a basket of candy is her only requirement for a great Halloween! 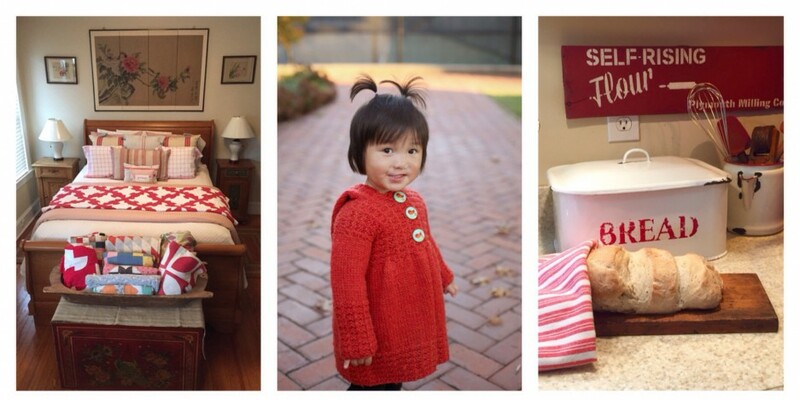 I pulled my warm pajamas out last night…Fall is really here. What I can’t believe… Halloween is next week. Where did October go? I do have a costume in mind. Pretty easy when the fellow teachers at your school decide to be a box of crayons. If you need a last minute idea, this schoolhouse Rock costume by Condo Blues made me smile! Is everyone enjoying this summer encore weather. Just when I thought it was safe to pack away the shorts and flip flops…it seems that Fall will be returning next week and we can resume our seasonal activities. 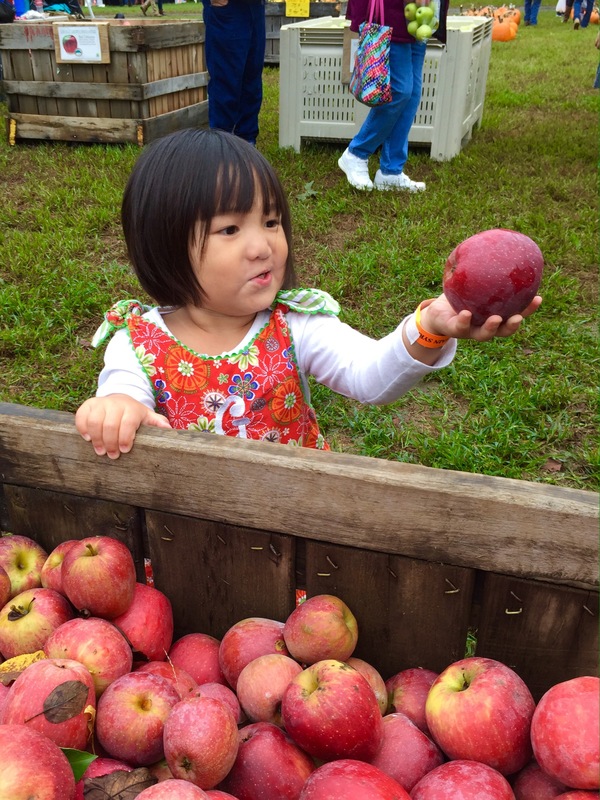 Speaking of Fall activities, am I the only one who goes a little crazy with the Apple picking? 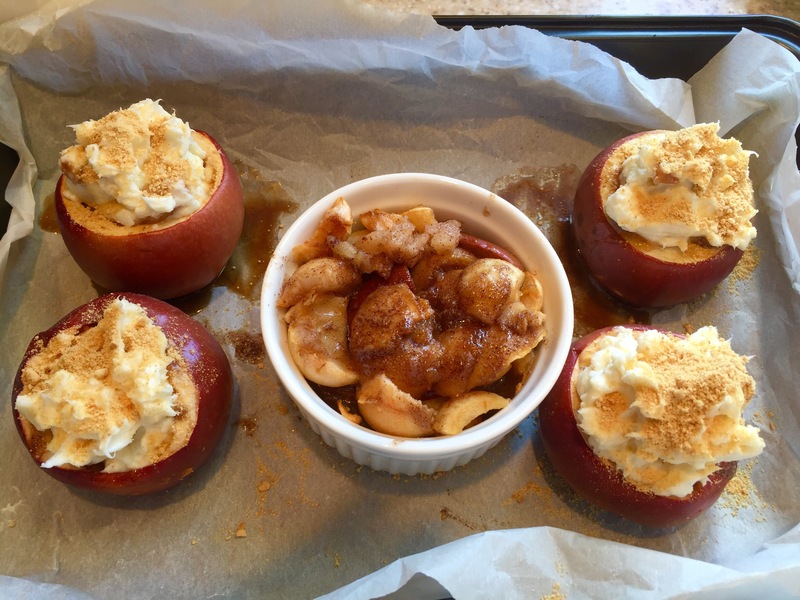 If you have one or two or twenty leftover, try my cheesecake baked Apple recipe. 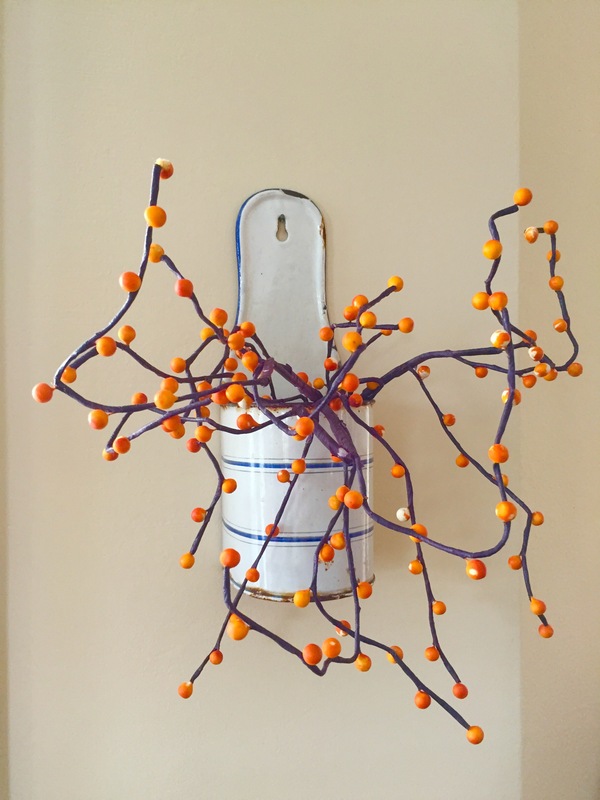 This week I selected the beautifully understated decorating style from The Organized Dream. 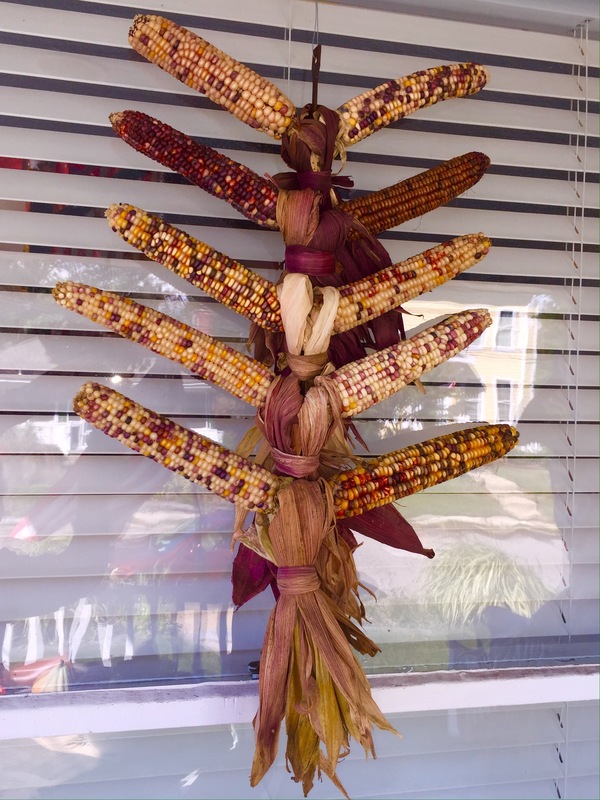 I love how she captured the joy of the season with simple pine cones. 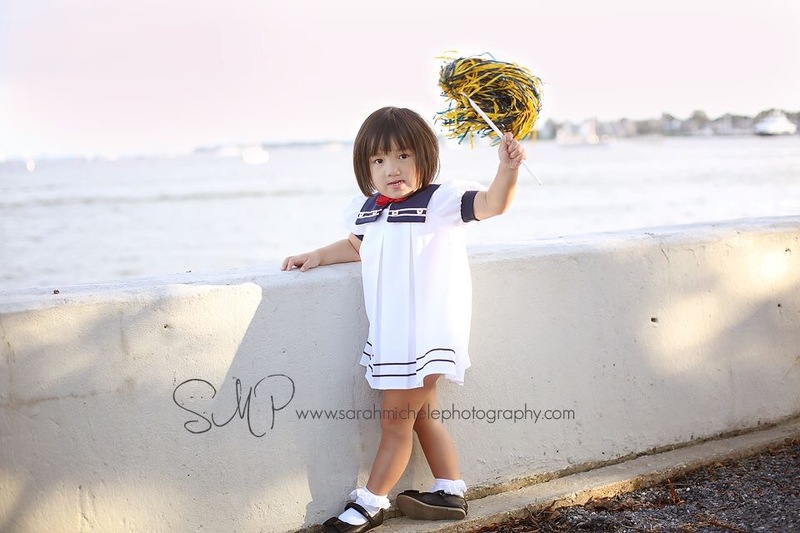 And just because…enjoy the beautiful picture of our Princess taken by the talented Sarah Michele on the Naval Academy Yard! Boy has it been a week! Many friends and family felt the full brunt of Hurricane Matthew, and thank goodness, experienced minimal damage. 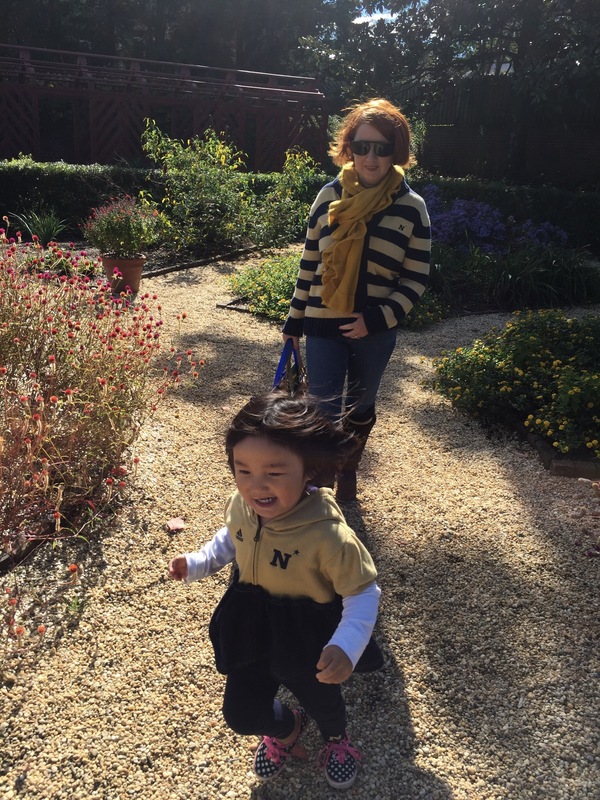 We tolerated a rainy, windy Saturday in Annapolis but it didn’t dampen the spirits of our Navy football team! The town will talk about the great win of ’16 for decades to come! Sunday and Monday provided the quintessential Fall holiday weekend we all needed. 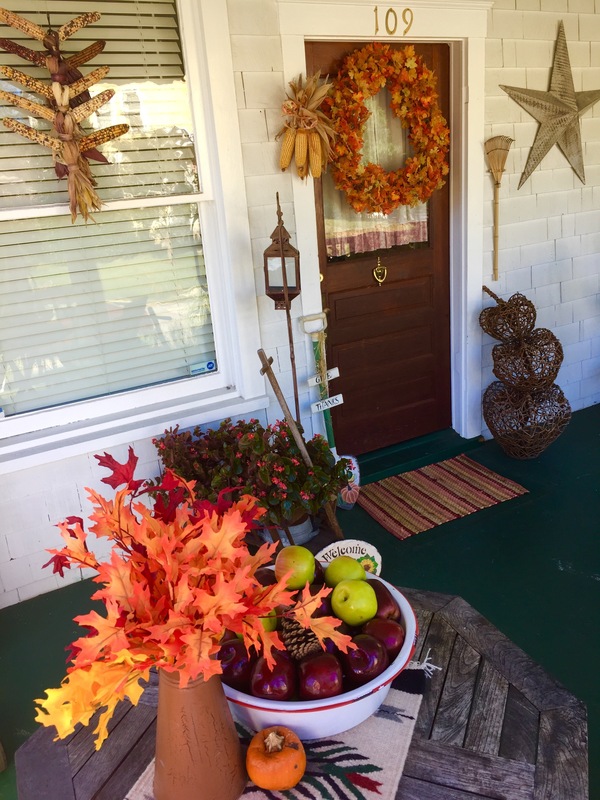 My porch now reflects the beauty of the season. I can’t wait to enjoy a pumpkin pie milkshake and watch the leaves do their thing. 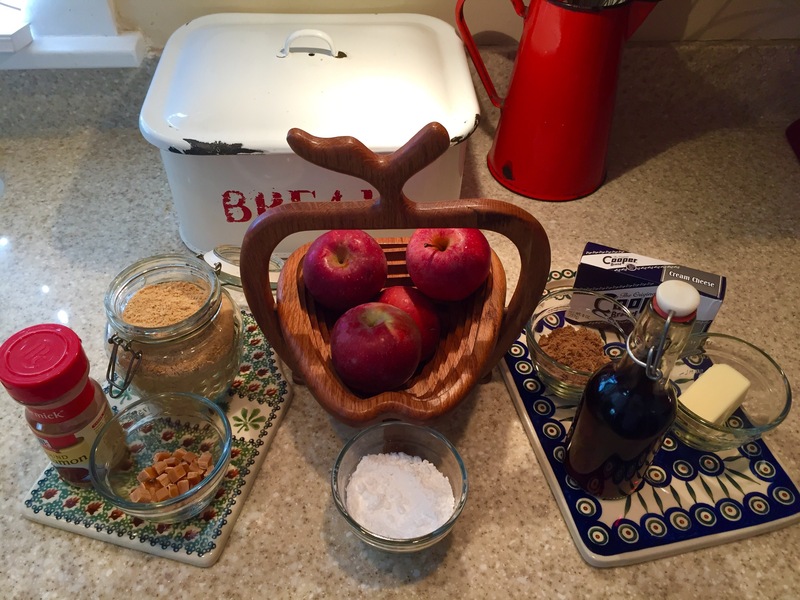 The featured recipe sounds amazing. So, that loud cheer you heard yesterday… a big day in the history of Navy Football. While the princesss and I enjoyed the afternoon in the warm, dry house, my hero walked to the stadium to witness the win. Yes, we live that close. 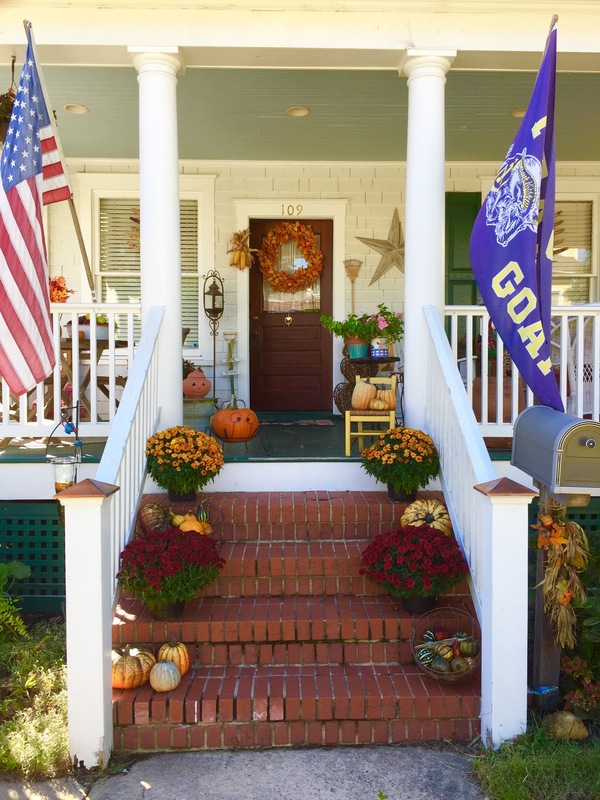 Today seems to be that quintessential perfect east coast Fall day…come join me on the porch. Mums and pumpkins…and a few gourds…what could be more perfect! 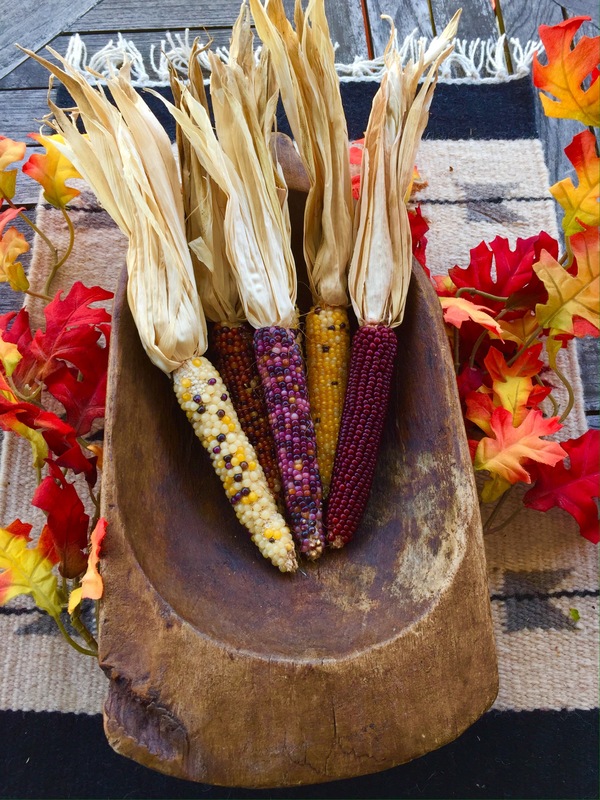 Indian corn on an antique drying rack…probably my favorite fall decoration. The leaves are still green on the trees, but on my porch they are the magnificent colors of Autumn. 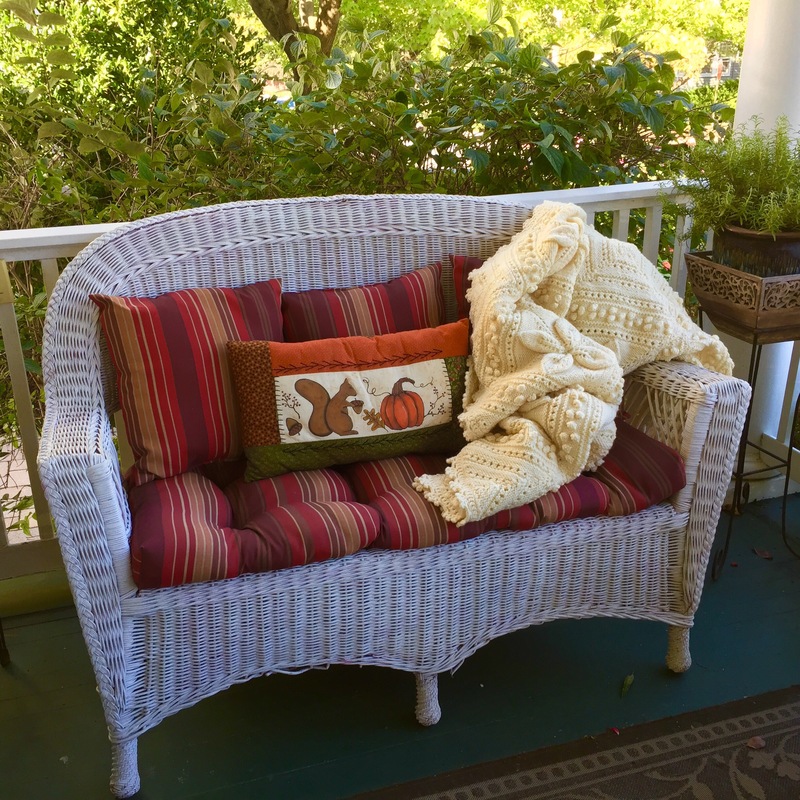 The perfect spot to curl up and enjoy the beautiful day…I wish you could join me! 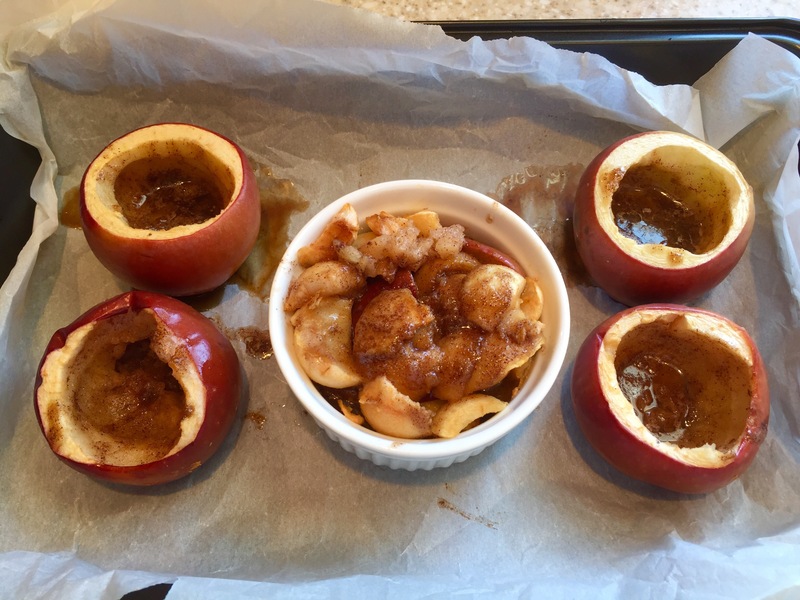 Behold…the Apple…the perfect snack for today!